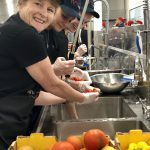 FareShare have today fired up the ovens of a kitchen the size of a basketball court to cook surplus food into free, nutritious meals for Queenslanders in need. 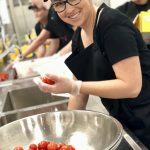 The bold initiative to fight hunger and food waste is an exciting collaboration between leading food charity FareShare, which cooks rescued food at scale, and Foodbank, Australia’s largest food relief organisation. 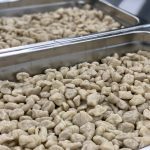 Wiley are proud to have partnered with FareShare to deliver the project, working with local suppliers and subcontractors to ensure the facility was as cost-effective as possible for the charity. 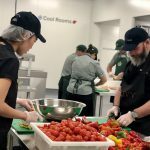 The $5 million kitchen, will initially harness 500 tonnes of surplus meat and vegetables from Foodbank. 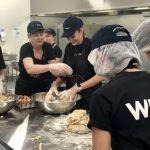 Experienced chefs will supervise volunteers to cook a daily mystery box of ingredients into tasty, ready-to-eat meals such as casseroles, curries and stir fries. 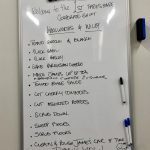 All FareShare meals are designed to be easily reheated with no need for full cooking facilities, making them ideal for highly vulnerable people struggling to put food on the table. 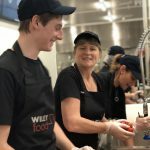 Wiley, who partnered with the charity to build the facility at cost, were on hand to join in the festivities, with a team of six cooking in the kitchen on opening day morning. 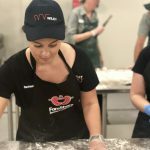 Foodbank will access surplus meat and vegetables to supply the kitchen and distribute the cooked meals to Queenslanders in need through its existing network of 280 registered charities. 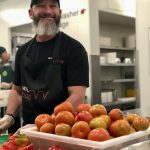 Foodbank Queensland CEO Michael Rose said, “Last year alone, Foodbank received over five million kg of fresh fruit and vegetables, most of it direct from our generous Queensland farmers. 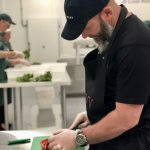 The top five farm donors from Bundaberg donated a staggering 1.5 million kgs and stand ready to donate even more once the kitchen comes on line. The state of the art kitchen was funded by generous philanthropic support and built at cost by Wiley.